light stimulates the mitochondria of the fat cell in a process called photobiostimulation, causing the cell wall to open and allow the cell contents to escape. Additional clinical studies show that patients experienced significant inch loss caused by exposure to this light alone. After exposure to the light, the fat is released from the cell into the interstitial space (just below the deepest layers of your skin) and is evacuated from this area by the lymphatic system. By eating right, getting some exercise and drinking plenty of water, the lymphatic system will be much more efficient in the removal of this fat. The liver and kidneys play an important role in eliminating the waste from your body, so living healthy is vital for enhanced results and overall well-being. 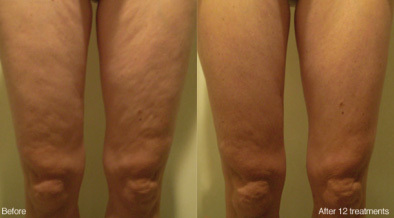 The treatment is totally non-invasive; no surgery or downtime. 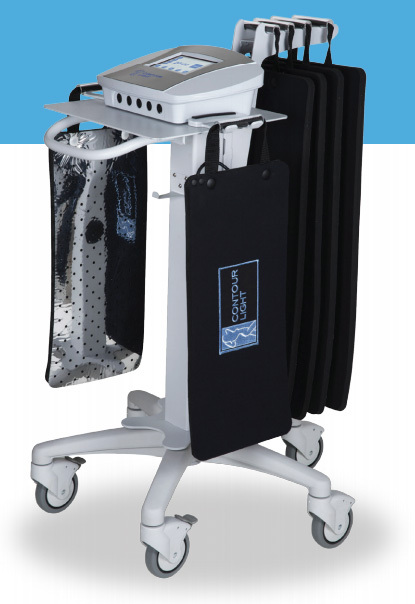 Contour Light’s red and infrared LEDs deliver energy at a very high volume, but there is no heat involved due to the system’s proprietary “heat-sink” technology, which draws the heat away from the patient’s skin. There is no pain or discomfort.